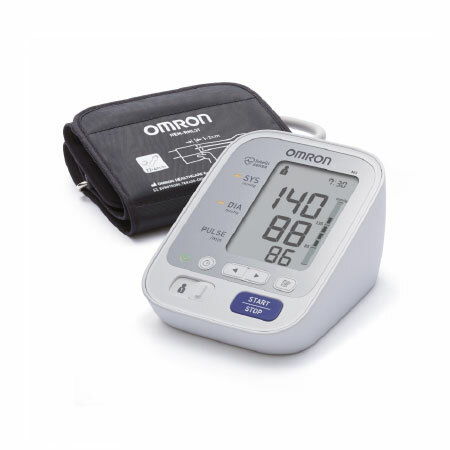 The OMRON M3 delivers the accuracy and reliability that you expect from OMRON blood pressure monitors, with additional advanced features to give you confidence in the quality and consistency of the results. OMRON M3 is supplied with an Easy Cuff (22-42 cm), meaning it fits most adult arm sizes right out of the box. The OMRON M3 is also designed to give you a reading that is easy to interpret. The Easy High Blood Pressure LED indicator signals if your blood pressure is higher than the normal range.